Welcome! 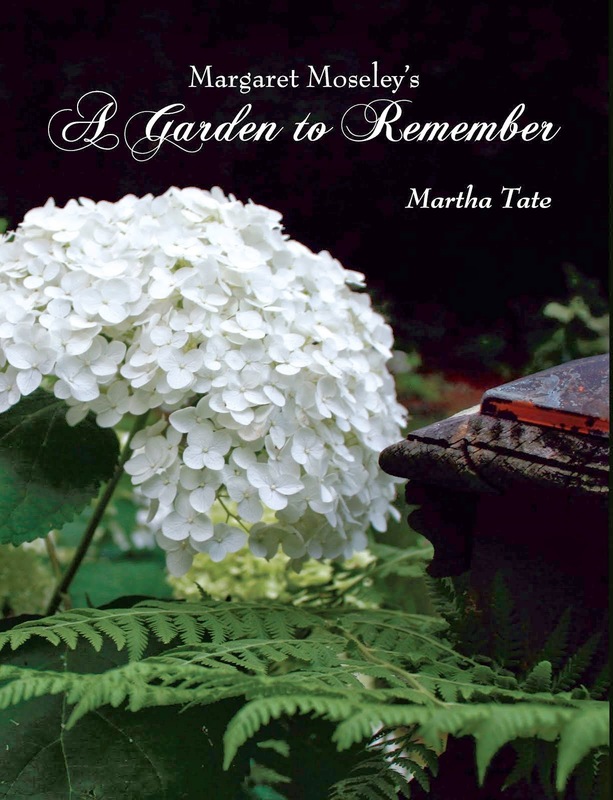 Scroll down to view photos from the files of Martha Tate, co-executive producer of HGTV's A Gardener's Diary and longtime Home & Garden columnist for the Atlanta Journal-Constitution. The photos are accompanied by Martha's timeless take on garden writing. Use Martha's photos as wallpaper - see instructions on the sidebar. Hedges - friend or foe? I love hedges - of any size. I note them everywhere I go. The homeplace where I grew up in the small town of Palmetto, Georgia, had formal hedges. I say formal in the sense that they were tightly clipped and formed geometric lines in the garden separating our house from my grandmother's cottage. But, these hedges were the bane of my mother's existence. The reason? They were made of privet, which grew way too fast to keep up with. I remember our gardener Felix using hedge clippers in a seemingly endless effort to keep the plants tidy. My mother complained that he spent more time on those hedges than everything else put together. Mother and Daddy never got rid of the hedges, though. For my brother and me, they made great places for hide and seek and chase. There were two long rows which led to steps going down to Granny Smith's cottage. The hedges made a right turn on each side and led over to shrub and tree borders. If the hedges hadn't been there, you would have had a rectangular expanse of lawn. Someone who lived in the house before my parents bought it in 1941 had created that formal garden. I'm glad they did. But, to address the reality of hedges. When you first plant them, the pace of growth seems agonizingly slow. It feels like it will take forever for the plants to close in and form an uninterrupted line. Then, before you know it, the years pass, and you wonder if you have created a monster. Hedges are high maintenance if you want to keep them perfectly clipped. Here in the South, most tall hedges are formed from Burfordi holly (at least in Atlanta). I like the hedges in Europe, many of which are clipped yew. It's too hot for yew here, and we don't have a lot of choices for tall material that will actually come together so that they can be even on the sides and top. Years ago, when we built this house, I wanted a hemlock hedge. I finally got one - outlining a large rectangle of grass. But the small trees kept dying and leaving gaps. And, in the beginning, the branches were floppy. Finally, they did fill in, but you can guess what has happened. They are now way, way too tall and unreachable. One really needs a cherry picker to maintain them. Along the way, I've had trouble with this hedge in one way or another. One day, after they had grown to about ten feet tall, I asked the work crew to shear them down to eight feet. The men, for some reason, took matters into their own hands. I came home to find a double line of "lollipops." Who could have guessed they'd do such a thing? I could hardly breathe. They had limbed up the trees, so that instead of a hedge to the ground, I had bare trunks with wild-looking green shoots pointing everywhere on top. The truth is I now have a monster, sure enough. Every week, I ask my mower and blower who is supposed to do other things, too, to trim the hedges from the top. He always promises he'll bring his clippers on a pole "next week" I don't even want to guess how tall these hemlocks are now. On the other side of the house, though, I have some short hedges coming along nicely. They are made of Korean boxwoods, which lend themselves to shearing. They grow fast enough to form a hedge quickly, but they are pretty easy to control. By contrast, I also have hedges made of English boxwoods. They, by contrast, cannot be sheared and are irregular and difficult to get even. In the photograph above, the homeowner has used a bit of hedging to surround a fountain. I love the contrast of the clipped lines against the ground covers and the looser shrubs. I still know of a double hedge out in the country in what is now Chattahoochee Hills (near Palmetto). Those hedges lead from the road up to the front door of an old house. They've been there for as long as I can remember, and they look great. But, Mother would not think these people are wise. The perfect hedges are made of - you guessed it - plain old privet. Below, at my house: In this view, the lollipops are less visible now that the "dwarf" (I think not!) English boxwoods have grown up. A rambling rose and sweet autumn clematis cover the top on the right side, making clipping even more problematic. The original zoysia lawn is long gone. In its place is tiny, sharp-edged pea gravel. Biography...Grew up in the South. Graduated from Vanderbilt University. Wrote a column in the Atlanta Journal & Constitution for 21 years. One of the creators and executive producers of A Gardener's Diary for Home & Garden Television. I live in Atlanta and have two daughters.